Padang is the economic centre West Sumatra. 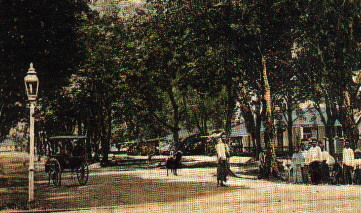 During colonial times Padang harbour was called Emmahaven, nowadays named Teluk Bayur. Up to approximately 1780 the most important trade product was gold, originating from the gold mines in the region. When the mines were exhausted, the emphasis turned to other products such as coffee, salt and textiles. 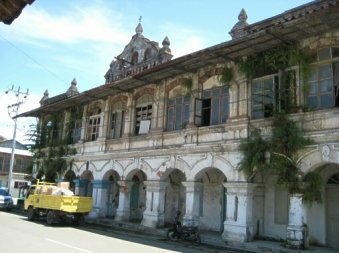 In 1797 Padang suffered from a tsunami and afterwards also quakes had been felt in the Padang region. An important export product from the region is coal from the Ombilin mine fields in Sawahlunto. As a result of coal as fuel a cement industry has established in Padang, the so called Padang Portland cement. PT. Padang Cement is the oldest cement manufacturer in Indonesia founded in 1910. The well known Dutch author Eduard Douwes Dekker, his writers name was Multatuli, had been resident in Padang in the 1850s.